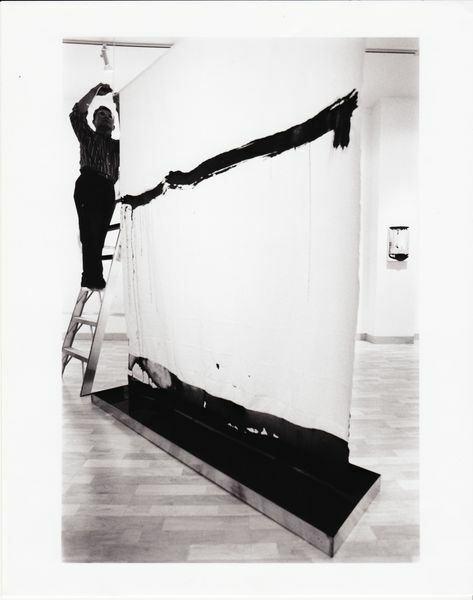 From the early 1960s until the 1970s Matsutani was a key member of the ‘second generation’ of the influential post war Japanese art collective, the Gutai Art Association. Over five decades Matsutani has developed a unique visual language of form and materials. 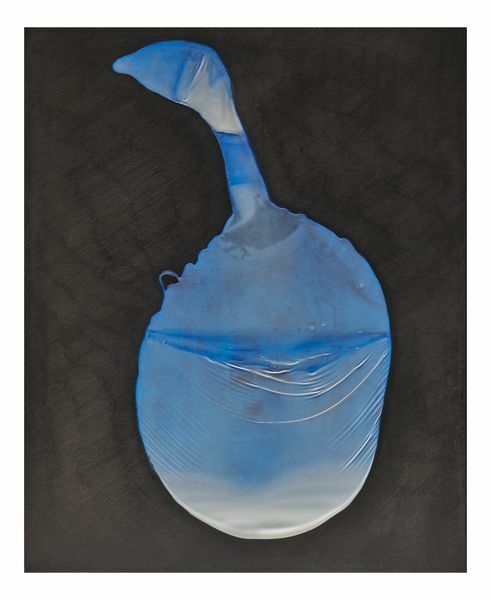 As part of the Gutai group, Matsutani experimented with vinyl glue, using fans and his own breath to manipulate the substance, creating bulbous and sensuous forms reminiscent of human curves and features. 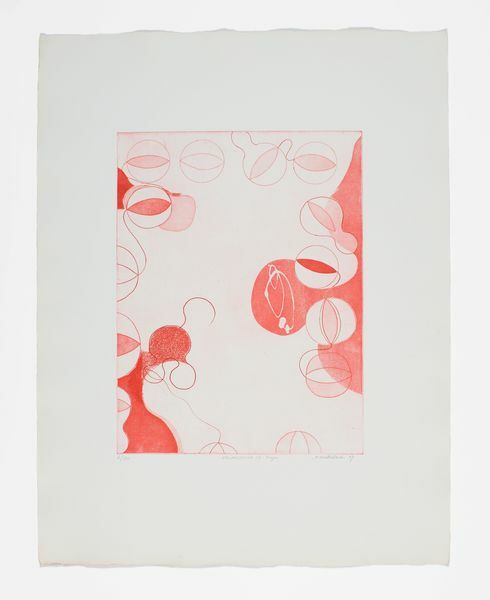 In 1966, Matsutani received a grant from the French government after winning first prize in the 1st Mainichi Art Competition and subsequently moved to Paris where he began working at Stanley William Hayter’s renowned printmaking studio, Atelier 17. 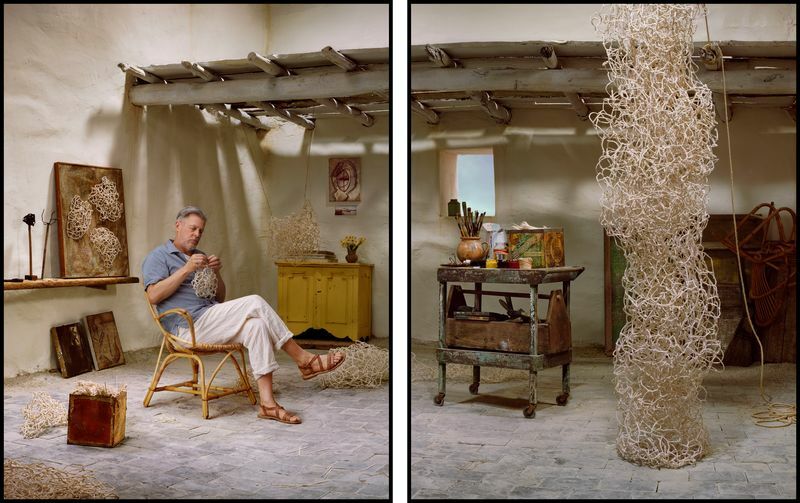 During the four years he worked at the studio, he learnt French, married and established his base in Paris. Working alongside Hayter opened Matsutani up to a new form of artistic experimentation and offered him a newfound confidence. 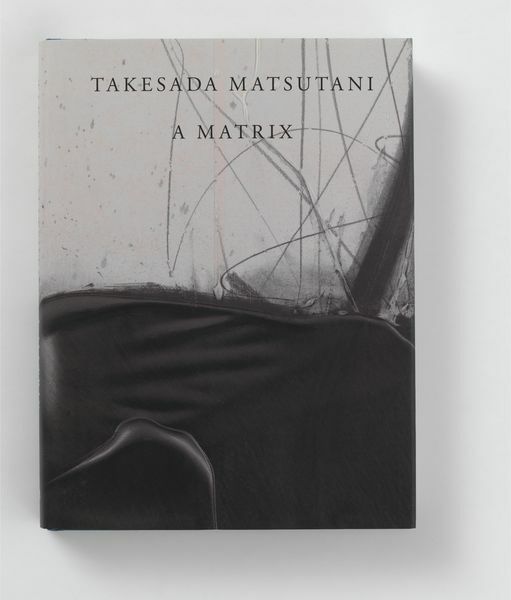 Matsutani began to rethink his practice and a new elemental aesthetic language began to emerge that was both controlled and organic. 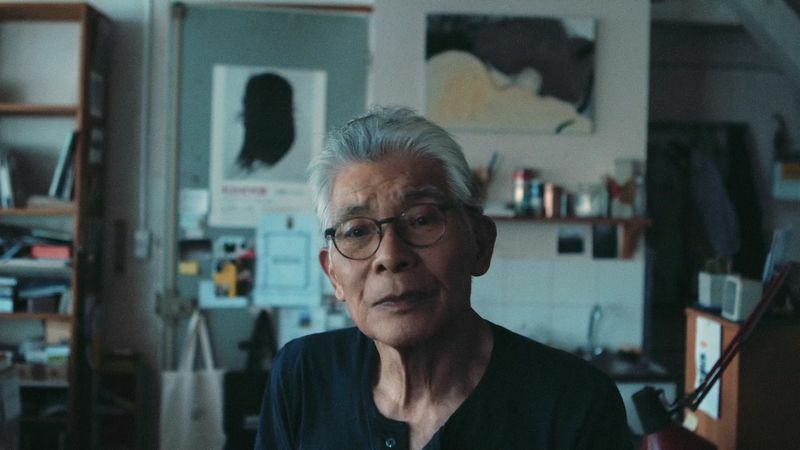 After the Gutai group disbanded in 1972, Matsutani eased into a radical yet consistent new body of work, informed by his experience at Atelier 17. 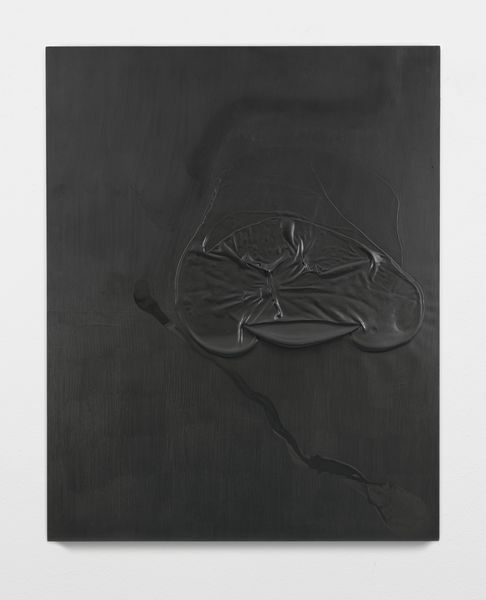 Faithful to his Gutai roots, he strove to identify and convey the essential character of vinyl glue with graphite, that were to become his signature materials. Matsutani began creating vast expanses of metallic black graphite on mural-size sheets of paper built up with painstaking individual strokes. 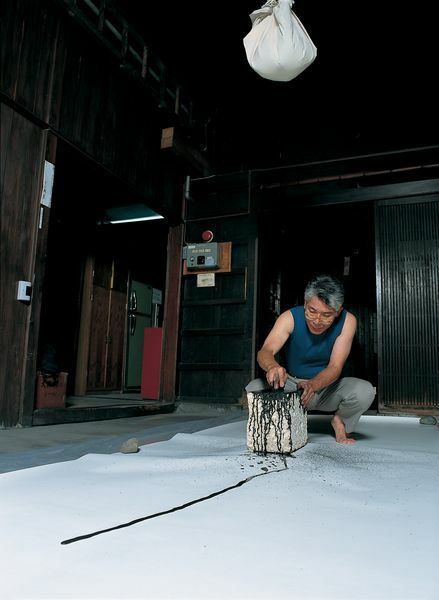 This ritualized manner presents a time-based record of his gestures, while reminiscent of his artistic beginnings in Japan, it has been translated into an artistic language that is uniquely his own. ‘Hommage à Geo’, Centre culturel de l’hôtel de ville, Saint-Mandé, France. Slocum, Amy Marie, 'Takesada Matsutani at Hauser & Wirth Los Angeles' on: www.needsupply.com, Richmond VA, 7 August 2017, ill.
Laurent, Tom, 'Matsutani, Organique Concret' in: Art Absolument, Paris/FR, July 2017, pp. 84-89, ill.
Macel, Christine, 'Der Pavillon de Farben' in: Kunstforum International, July 2017, Roßdorf/DE, pp. 200-209, ill.
(cont'd) ___, 'Special Projects' in: Kunstforum International, July 2017, Roßdorf/DE, pp. 214-216, ill.
Raymond Fitzpatrick, Kyle, 'Takesada Matsutani at Hauser & Wirth Los Angeles' on: www.coolhunting.com, New York NY, 30 June 2017, ill.
___, 'Takesada Matsutani at Hauser & Wirth, Los Angeles' on: uk.blouinartinfo.com, New York NY, 4 July, ill.
___, 'First Los Angeles solo exhibition for Takesada Matsutani on view at Hauser & Wirth' on: www.artdaily.com, Mexico City/MX, 4 July, ill.
Wilcox, Matthew, ‘Guiding Spirit’, in: Apollo Magazine, London/UK, July/August 2016, pp. 52-28, ill.
2013 Matsutani, Takesada, ‘Takesada Matsutani on John Martin’s The Great Day of his Wrath (1851-1853)’, in: Tate Etc., London UK, Autumn 2013, p. 93, ill. Sand, Olivia, ‘Takesada Matsutani’, in: The Asian Art Newspaper, London UK, September 2013, p. 2, 4-5, ill.
Ito, Toyoko, ‘Takesada Matsutani’, in: Bijutsu Techo, Tokyo, Japan, August 2013, pp. 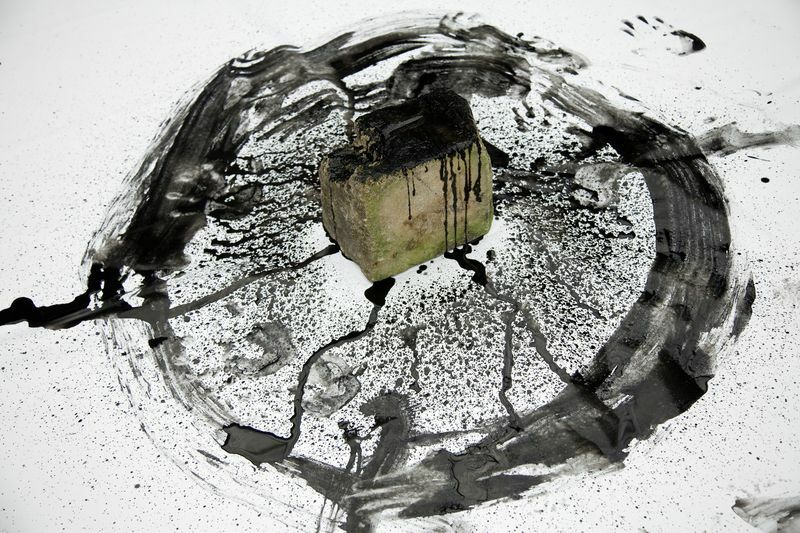 104-107, ill.
Sender, Hannah, ‘Takesada Matsutani at Hauser & Wirth’, in: Asian Art News, Hong Kong, July-August 213, p. 66, ill.
Miller, Alastair, ‘Takesada Matsutani Artist. It is important to have your own space. In it, I try to be honest’, in: The Independent, London UK, 27 July 2013, p. 22, ill.
___, ‘Takesada Matsutani: A Matrix at Hauser & Wirth London, Savile Row’, on: www.moussemagazine.it, 8 July 2013, ill.
___, ‘SITC London: Trade Routes, Takesada Matsutani: A Matrix, Thomas & Craighead: Never Odd Or Even’, on: www.artworldnow.com, 25 June 2013, ill.
___, ‘purple DIARY – Takesada Matsutani’s ‘A Matrix’ SHOW at Hauser & Wirth, London’, on: www.purple.fr/diary, June 2013, ill.
___, ‘Takesada Matsutani ‘A Matrix’’, on: www.dajf.org.uk, 27 June 2013, ill.
___, ‘Calender’, in: The Burlington Magazine’, London UK, June 2013, p. 443, ill.
___, ‘Takesada Matsutani’s ‘A Matrix’, at Hauser & Wirth’, on: www.amodernmatter.com, 24 May 2013, ill.
Marks, Emma, ‘Takesada Matsutani at Hauser & Wirth. Exhibition review’, on: www.theupcoming.co.uk, 19 May 2013, ill.
Sherwin, Skye, ‘Takesada Matsutani London’, in: The Guardian, London UK, 18 May 2013, p.36, ill.
Jingwen Wee, Darryl, ‘Gutai Artist Takesada Matsutani Opens New Show at Hauser & Wirth’, on: www.artinfo.com, 17 May 2013, ill.
Roniger, Taney, ‘Matsutani: Gutai Spirit Forever. Galerie Richard, New York. February 7th – April 20th, 2013’, on: www.concatenations.com, 14 April 2013, ill.
___, ‘Che cosa sta preparando. Takesada Matsutani’, in: Il Corriere delle Sera. Sette, Milan, 26 April 2013, p. 115, ill.